Hydropel : is a low viscosity silane siloxane system which treats and seals porous substrates against rain. Ideal for brick, block, concrete and sandstone structures. Simple to apply straight from the container. Resi-Rain Kote will not change the appearance of the surface is being applied to. ERACoat FC2454 Satin: is a low sheen single component, moisture curable polyurethane coating. ERACoat FC2454 Satin gives a tough Satin finish on all interior timber, cork, particleboard and concrete flooring with excellent abrasion and chemical resistance. ERASeal FC: is a single component, fast drying sealer for coating timber and cork. it has been formulated to be applied as a thin first coat under ERACoat 45 Gloss. ERASeal FC is easy to sand and has excellent adhesion to all timber species. This product is for interior use only. Acrylseal: Water based quality acrylic floor sealer. Easy to use, water based penetrating sealer which is quick to apply. UV resistant, the product is long wearing for interior or exterior applications on concrete, masonry and mud brick. Megapoxy LVS: has been developed as a penetrating sealer for concrete, brick and other porous surfaces. Winery Floor with Megapoxy 132 Coating. 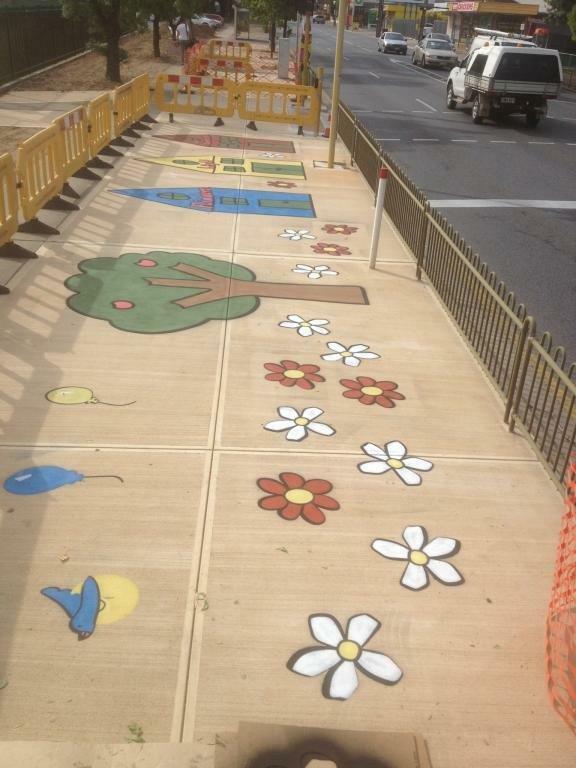 Grey, Green and Yellow Pigments have been used to mark walkways. Warehouse floor coated with Megapoxy 132 Grey between shelves. Making the traffic areas like new again. 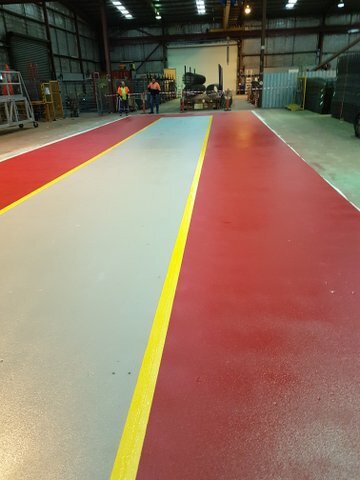 900sqm warehouse floor coated in Megapoxy 132 Grey using an airless spray unit. Megapoxy 132 Paw Paw roll coat. ERACoat 45 Gloss coating over cork tiles. ERACoat 45 Gloss : is a fast curing, moisture curing polyurethane floor coating. ERACoat 45 Gloss gives a tough Gloss finish on all interior timber, cork, particleboard and concrete flooring with excellent abrasion and chemical resistance. Megapoxy MC: is a heavy duty epoxy maintenance coating. normally it is applied in three coats, which is resistance to abrasion, impact and wide range of chemicals. Megapoxy MC can be applied by airless spray equipment, roller or brush. SYN PAVE SPORTS & REC: is a pre mixed, pre coloured water based, slip resistant UV stable coating with excellent performance against wear and weathering, therefore providing a rejuvenated fresh and safe surface coating that is suitable for internal and external use. SYNPAVE SPORTS & REC coloured coating outside of a school, creating a colourful and safe non slip path. Megapoxy 132: is a two component solventless 100% solids epoxy resin. Megapoxy 132 is recommend for use with pigments and fillers for chemical resistance and decretive floor and wall cladding. Proper selection of durable, non-fading will provide floor toppings and wall coatings with pleasing and serviceable appearance and strength.